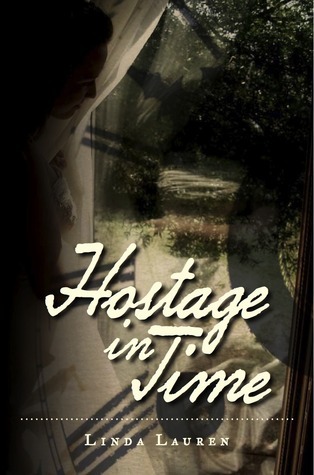 My book choice for November is “Hostage in Time” by Linda Lauren. I received this book months ago and thought it would be an excellent choice to read as my next book. The book tells the story of photographer Amanda Lloyd and while filming at the historic Serenity house, home of Thomas Edison’s patent attorney Jonathan Brisbane, things become very complicated for the photographer when she suddenly finds herself transported back in time to 1884, according to the book jacket. She is accused by Mr. Brisbane of being a spy, she is put under house arrest, becoming a hostage to history. As she becomes accustomed to life in the 19th century, her growing love for Mr. Brisbane is shattered when a scorned traitor sets them up, forcing the pair to work together to unravel the secrecy of missing documents before Ms. Lloyd is arrested for treason and history is changed forever. With the help of a spiritualist medium, they are able to find and understand their destiny – but is it already too late. This is is Ms. Lauren’s debut novel and is an adventure that has both romance and intrigue. Ms. Lauren is a fourth-generation psychic medium with a forty-year practice. She is an avid researcher and champion of historic preservation. She uses her intuition in everything that she does. For more information, visit Ms. Lauren’s Web site at http://www.lindalauren.com.